Wotton under Edge beavers, cubs and scouts will be guests of honour when Gloucestershire Wildlife Trust celebrates the opening of its 60th nature reserve - at Nind near Kingswood, Wotton-under-Edge - on July 1. Nind Nature Reserve, which has been leased to the Trust by land owners Ben and Anna Read, is a hidden miniature wetland on the site of a former trout farm. It is a haven for wildlife and animals such as the much-loved but elusive water vole (of Wind in the Willows fame), now one of the UK's rarest mammals. Members of the 1st Wotton under Edge Scout Group have already been lending a hand with conservation work on the site, alongside Wildlife Trust experts. They have received Environmental Partnership badges recognising their hard work helping to repair bridges, fell small trees, clear scrub, create a beetle loggery and an artificial home (or ‘holt’) for otters. Their work has greatly enhanced the site for invertebrates, water voles, otters, kingfishers and snipe to use. The Scout Group will be helping cut a celebration cake decorated with a water vole, to officially open the new reserve at 6pm. Landowner Ben Read said: "My family used to run a trout farm on this land, and we are delighted that the Trust has taken it over and turned it into a haven for wildlife. Our children are just babies, but we take them through the reserve every evening, and as they grow we're hoping they will be able to learn a lot more about wildlife than we did when we were young! "Before we got involved with the Trust we had no idea what a special place this could be for all sorts of creatures and plants – especially the water voles. Local people are fascinated by the work that's gone on here and looking forward to the official opening." Tom Burditt, from Gloucestershire Wildlife Trust said: "The wildlife on this, our newest reserve, doesn’t actually need a lot of management because it just likes it wet and slightly scruffy! However, we have been working to keep the water levels high and flowing, to stop the American mink, and to prevent the scrub and trees from taking over. "Nind Nature Reserve is a lovely tranquil place thriving with mammals, birds, reptiles, amphibians, insects and plants. Gloucestershire Wildlife Trust would like to thank the landowners, Ben and Anna Read, for allowing us the opportunity to manage this key site and for their help in enabling its protection as a nature reserve. "We would also like to thank the 1st Wotton-under-Edge Scout Group for their help in our conservation efforts here, and Biffaward, Environment Agency, GETCo, Natural England, Grundon and local business Orchestra for their support and funding of our work." Water voles. Once a common sight on our rivers and streams, the water vole is now one of Britain’s rarest mammals. Water voles have disappeared from whole river systems across Gloucestershire and now only survive in a few remnant populations within their former range. Water voles are closely related to bank and field voles, although considerably larger. They live in burrows in the steep banks of watercourses, digging their nest chambers above the water table with their feet and teeth. The neat entrance holes to these burrows can be found here at Nind and on the Ozleworth Brook further downstream towards Kingswood. Water voles are active during the day and have a characteristic hunchback posture when feeding at the water’s edge. They are very strong swimmers, and make a distinctive ‘plop’ as they splash dive into the water. Their droppings resembling large dark green/brown Tic Tacs in sites known as latrines at the water’s edge to mark their territories. These latrines are usually found on stones, logs or mud, but can sometimes be found on the top of the bank in the vegetation. 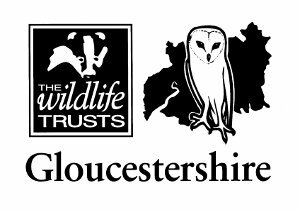 Gloucestershire Wildlife Trust is a countywide charity which manages over 60 nature reserves covering over 2,500 acres in addition to identifying key sites of nature importance. Our aim is to secure a natural environment which the people of Gloucestershire and visitors to the area can enjoy for generations to come. We have a local membership of over 23,500 people and work with 350 regular volunteers who give their time to support the Trust’s work. Further information can be found on our website: www.gloucestershirewildlifetrust.co.uk. There are 47 Wildlife Trusts across the whole of the UK, the Isle of Man and Alderney. We are working for an environment rich in wildlife for everyone. With 765,000 members, we are the largest UK voluntary organisation dedicated to conserving the full range of the UK’s habitats and species, whether they be in the countryside, in cities or at sea. 135,000 of our members belong to our junior branch, Wildlife Watch. We manage 2,256 nature reserves covering more than 90,000 hectares; we stand up for wildlife; we inspire people about the natural world and we foster sustainable living. www.wildlifetrusts.org.